In 2017, Jazz Fest honors New Orleans’ deep historical connections with Cuba by hosting the largest celebration of Cuban culture in the U.S. since the 1950’s. Over 150 Cuban artists are invited to participate in the 2017 New Orleans Jazz & Heritage Festival Presented by Shell, most of whom will be in the U.S. for the first time! Celebrate the legend of pirate Jean Lafitte. The story goes that pirate Jean Lafitte docked his boat right on the sandy shore of Lake Charles and buried his treasure somewhere along its banks. And although you are unlikely to find the hidden booty, you’ll be able to discover the golf vacation secret that is Southwest Louisiana, with two award-winning casino golf courses and two other world-class tracts. More Information. Although, the full-fledged Kentucky Bourbon Festival is not until mid-September, you can sample Kentucky’s fine bourbon while collecting branded specialty glasses in late April just 45 minutes south of Louisville. For golf, check out the newly renovated 18 hole course at My Old Kentucky Home State Park and then continue south to Dale Hollow State Park to take advantage of Getaway to Golf packages, which include overnight lodging and 18 holes of golf with cart. The Orange Beach Wine Fest is one of the most cherished tickets on the island. Over 120 wines, three live music acts, food from distinguished local restaurants, boat tours of the bay, custom wine glass, custom wine bag, and even craft beer for the un-winies. Gulf Shores-Orange Beach Golf packages are available at one of eight signature courses and accommodations, ranging from beachfront homes and condos to fairway villas and convenient hotels. The biggest names in bluegrass and the nation’s best BBQ cook teams come together for this show-stopping event. 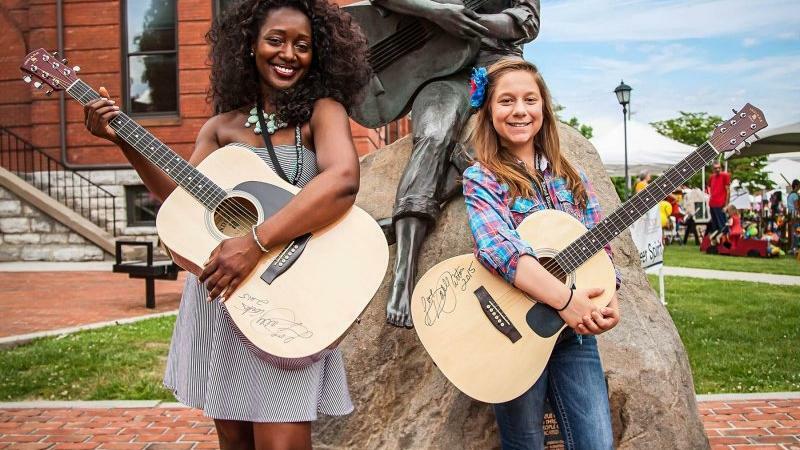 Enjoy the Bush’s Best Tennessee State Championship BBQ Cook Off, a People’s Choice Contest, two days of toe-tapping entertainment, the Mountain Soul Vocal Competition (honoring the songwriting of Dolly Parton), a late night Bluegrass Jam sponsored by Dixie Stampede and more. And take time to play on or both courses at the SeviervilleGolf Club. Three days of live music & entertainment over Memorial Day Weekend at Lone Star BBQ & Merchantile. And with over 20 courses around the area and the golf packaging experts at Golf Santee ready to book your golf package, you’ll have a real downhome good time. The B. B. King Museum and Delta Interpretive Center is located in the heart of the Mississippi Delta, not far from the famous Crossroads at Clarksdale. It was built to honor the life and music of one of the most accomplished musicians of our time. This festival will take place just down the road from glitz and glamour of Tunica’s casinos and challenging golf courses. This is a great time to plan your Golf and Blues Getaway to Mississippi.